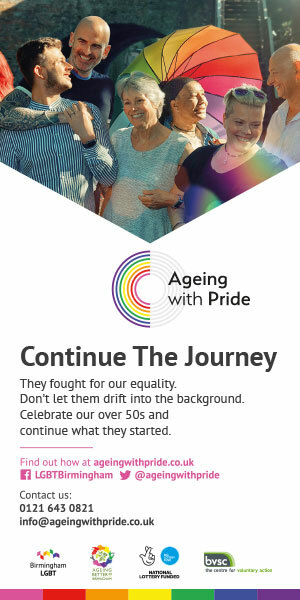 Last year, the Office for National Statistics reported that the number of British people identifying as bisexual in the UK had risen by 73% in four years, confirming that the B in LGBT represents more people than all the other identities in the ever-expanding LGBT+ acronym. With that in mind, I’m not sure why ‘questioning’ counts as a sexuality, but that’s for another time. It does annoy me though. Anyway, with more and more people coming out as bisexual, E! 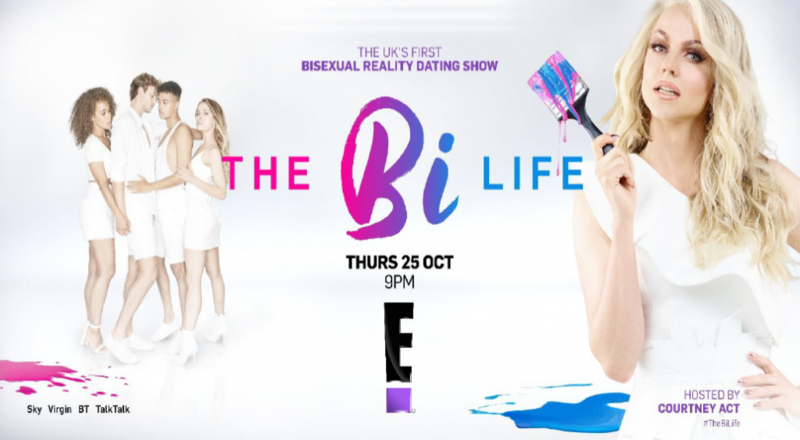 Entertainment Television’s The Bi Life could not have arrived on our screens at a better time. There may be more bisexuals in Britain than there are gay men or lesbians, but underrepresentation has always been a problem. Let’s hope that this prime time, ten-part dating series goes some way to redressing the balance. Presented by Shane Jenek and his alter-ego, Courtney Act, episode one whisked six contestants off to a villa in Barcelona. Despite being reassured to the contrary by Courtney when I spoke to her a couple of weeks ago, the villa-in-the-sun setting was unavoidably reminiscent of the execrable Love Island, which I detest. Despite a couple of early Love Islandy soundbites, including “I thought Barcelona was in Italy”, the accomplished Jenek soon put me at my ease. The contestants are not going to be dating each other, but will be sent on blind dates, gender blind dates and double dates. Some dates are streamed to the remaining contestants back at the villa. I like this idea and, at least in episode one, the format allowed the contestants to be genuinely supportive of each other, rather than being manipulated by The Man into falling out/shagging/having a meltdown (delete where applicable) to make what is known in some quarters as “good telly”. Each contestant, to a greater or lesser degree, had an unenviable dating history. Michael from Manchester (phwoar) had NEVER BEEN ON A DATE while Leonnie, also phwoar and also from Manchester “hasn’t had a proper relationship for seven years”. What’s wrong with you, Manchester? How have you let these two get away? You all need to take a long hard look at yourselves. Lots of telly featuring “real people” takes the piss out of the deluded, the stupid and the psychologically weak. This is especially marked in the early rounds of X-Factor, and is really no better than buying tickets to laugh at the inmates of lunatic asylums, which is something that actually happened when there was bugger all else to do. To its credit, this is not what The Bi Life is about, although I do worry for Daisie, whose insecurities were uncomfortably laid bare towards the end of the episode. Despite this, all the contestants came across as likeable, and Shane/Courtney is a revelation as a presenter; funny without being a scene-stealer, supportive without being sentimental, and just about risqué enough to stay on the right side of filthy. this webpage, I have read all that, so at this time mee also commenting here. users that they will help, soo here it occurs. websites online. Ӏ am goіng to highly recommend tһis website! Thank you so much Rushessay – much appreciated! Tell your friends! Like all fields, photography, professional photography at this, just isn’t as easy as one could think. negative boy lolok can better be achieced using a shaved head. Aw, this was an incredibly good post. Spending some time and actual effort to generate a good article? ⲣay a ᴠisit tһis website, it includes important Information.